Traditional whiskey, pubs and festivals are among the things that make your stay in Dublin a peak pleasure. But what makes Dublin so great, if you are not into the idea of partying? The answer is the city’s impressive hidden church architecture. Ireland has been the go-to land for saints and scholars for ages. From old oratories to Neo-Gothic extravaganzas, Dublin has a lot to offer. While most of us are familiar with the Saint Patrick church, there are many other churches that are just as interesting. 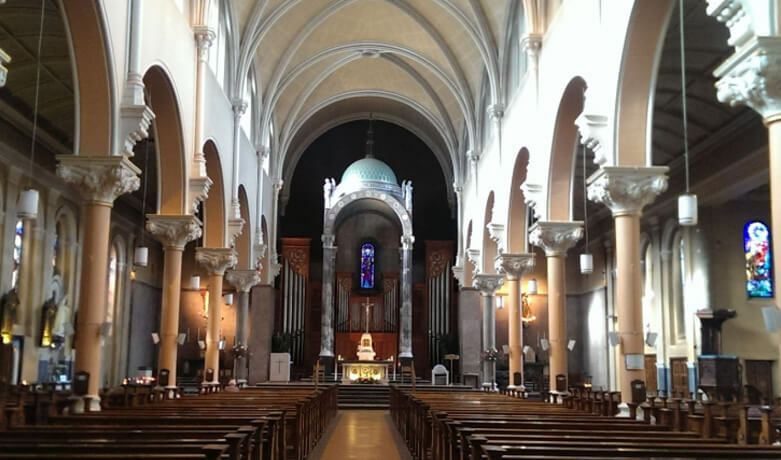 Here is the list of our fine selection of hidden churches in Dublin and their breathtaking and ingenious architectural design. The church has notable details including a shrine with the remains of St. Valentine, which Pope Gregory XVI gifted to the church in 1835. Featuring high columns and a subtle gothic feel, this church is a must-see. The interior is extremely colorful and warm compared to the exterior. Although, the place is very old, since it was built back in 1825, it still looks as if it was built yesterday. If you are in Dublin, make sure you visit this church. Nicknamed as the “Kitchen”, this place is different compared to traditional churches. 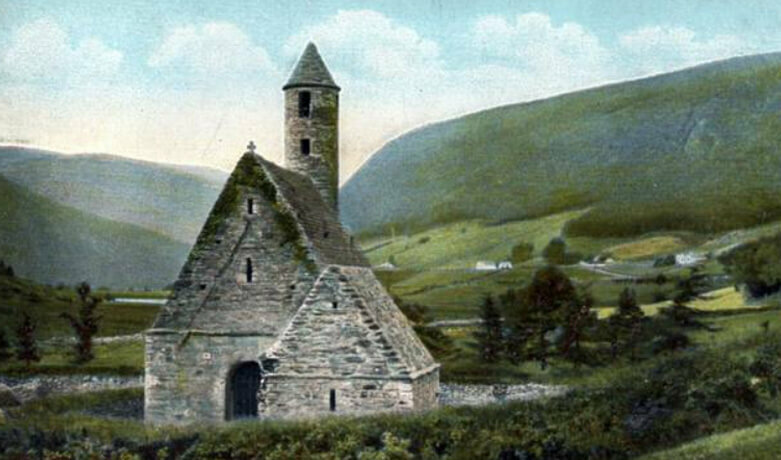 With a small round tower incorporated into the main body, it is one of the few complete monuments in Glendalough. You can test the cool acoustics through the metal doors and take pictures. It’s almost always closed to the public, but the surroundings are here for you to enjoy. The untouched nature and the mountains make it the perfect place for camping. While it is possible to go there using a cab, we recommend arranging a guided tour. This ancient church has stood the test of time. 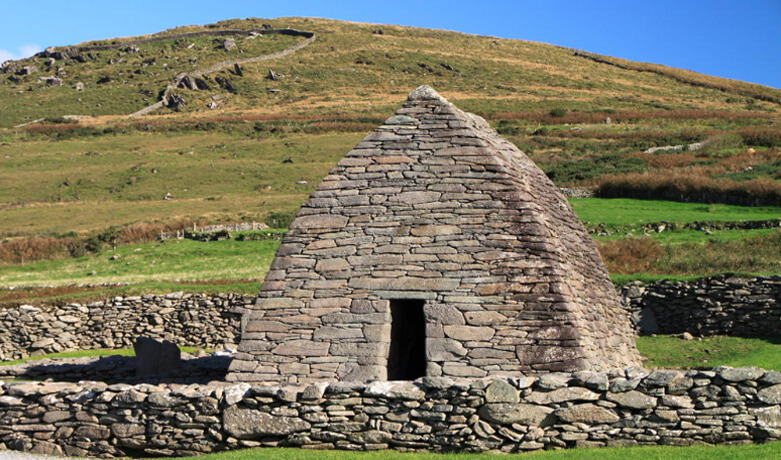 Having a unique design that closely resembles a turned upside-down boat, this church is a historical gem of County Kerry. Although it is quite popular among locals, it’s easy to miss, since it is nestled organically into the landscape. If you plan to visit it, we recommend booking a guide, as reaching it on your own might turn out to be a hassle. This small church was built to commemorate the 1500th anniversary of St. Patrick’s mission. Despite being small in size, it has a classic Irish design, which features a round tower with a bell on top and small windows, which were common at the time this was built.The ancient site at Saul has many interesting artifacts including stone-built graves, a souterrain and an important collection of cross-carved stones, ranging in date from the 8th to the mid 12th century when St Malachy introduced Augustinian Canons here. Two small mortuary houses still exist from that time. You can reach it by bus and taxi, but keep in mind, this place is pretty far from the city. 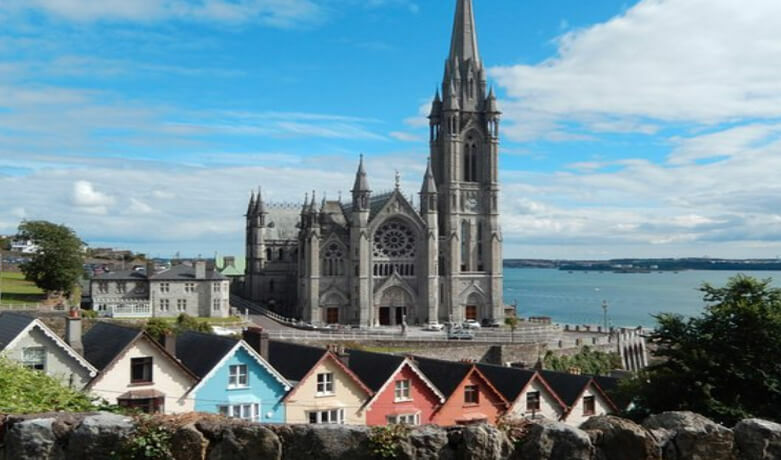 St. Colman’s Cathedral is an exquisite gem of neo-Gothic architecture by the architects Pugin and Ashlin. It took 47 years to build, starting in 1868. Built on an artificial bed of sandstone and erected between 1859 and 1919 this cathedral exemplifies the French Gothic style. 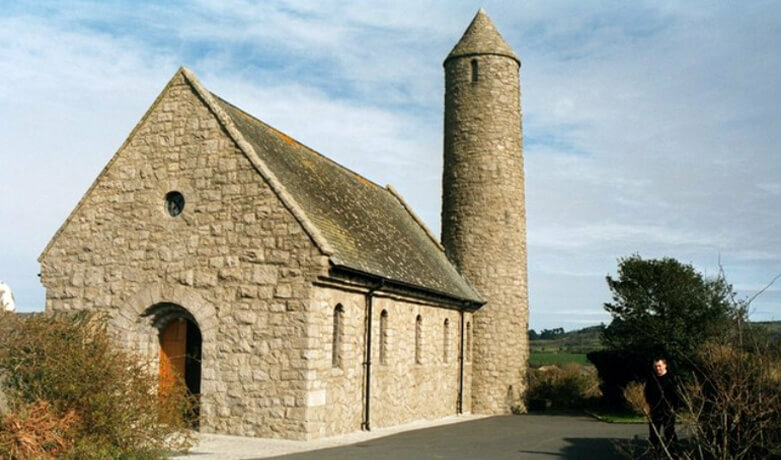 Its structure features a 100m-high spire and a tower that contains a 42-bell carillon, the largest in Ireland. You can get here by bus, bike and even on foot. 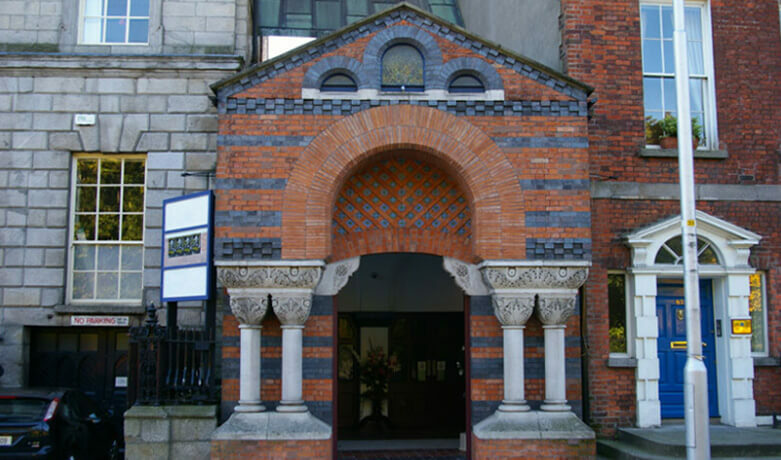 People often don’t notice the entrance of the church since it’s located between two inhabited buildings.The church is decorated in a Byzantine style and it’s considered one of the strangest churches in Dublin. The church is distinctive in its architectural style and exceptional in its decoration. It has a special place in the heart and heritage of Dublin city.